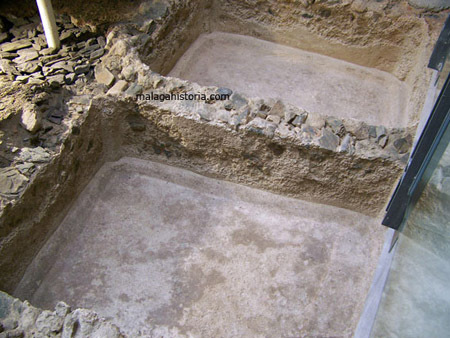 The "garum or liquamen" was a salting product done with the soft tissues of fish that were removed during the cleaning; intestines, hipogastrio, gorges, eggs, blood ... to which were added small whole fish. This mixture got into brine and exposed to sunlight for a long time, sometimes months. To speed the process you could artificially heat it up. "The garum" with perfumes were the most expensive of all the "Roman imperi" substances. Its manufacturing made famous to the countries where it came from. The taste and name of garum varied according to the fish that rely on, could be also made with shrimp, oysters or other shellfish or seafood, also with sea bass and eels, whether to anchovies ("maena") was "Muria" and if whitebait (chanquetes) based ("named apua") the result was the sauce "Anex". 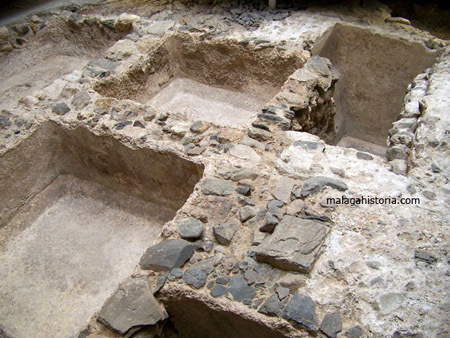 "Using of garum": garum was used to be said that opened the appetite and facilitating digestion. In the kitchen it was a salt substitute and used to be mixed with wine, vinegar, oil or water. It was very useful to keep in charcuterie meats or fruits and also used to prevent the household odors. Besides garum was considered a miracle cure for their nutritional qualities, anti-toxic and its healing effects on burns, eczema and ulcers, stomach ailments and dysentery. It stressed that the garum into flour cured various diseases in animals. Ancient physicians like; Columela, Galenand Hikesios used to recommend it. It was considered by the inhabitants of ancient Rome as an aphrodisiac food, but consumed by the upper layers of society. 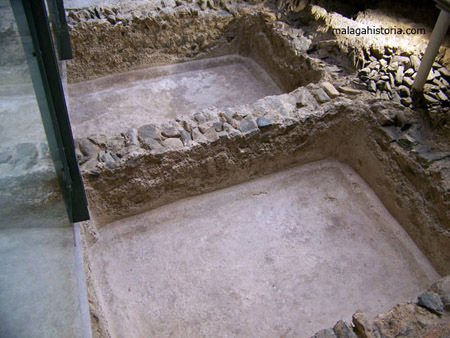 In these images we see the production cells founded in the building basement of the University of Málaga principalship in the park ride. Although Garum had its great moment in the Roman world, is from the Greek world which takes its name: Garos or Garon, the name of the fish which intestines for manufacturing were acquired. This sauce is made by mashing and fermentation in brine of visceral debris and remains of different fish like tuna, brown, sturgeon and mackerel or hallex, the latter used for the manufacture of medieval garum. The Garum was a sauce mixed with wine, vinegar, pepper, oil or water, served to season other dishes. The garum is mainly used for seasoning or accompany many meals, but also was used in medicine and cosmetics. 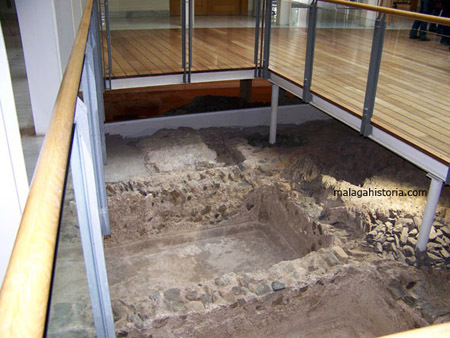 You can still see a factory making Roman garum in the city of Baelo Claudia in the hamlet of Bologna, municipality of Tarifa (Cádiz), there can be seen near the Forum big amphoras stuck on land near the beach where it was made the garum which is then exported to Rome, which had great prestige. 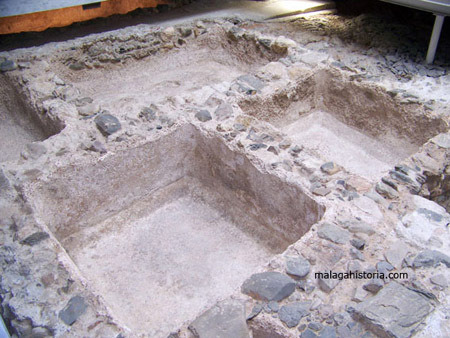 With the abundant fishing in this western mediterranean area the Romans created a huge industry that benefits all parties to make salted fish canning or "salsamentum". 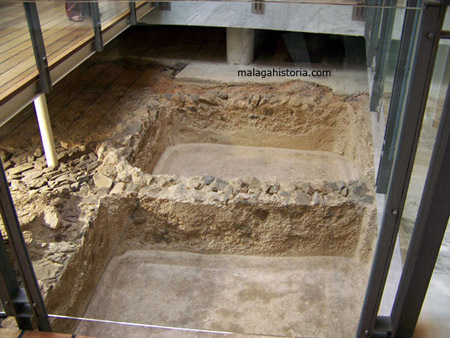 These sauces for the Roman cuisine and its success made the city of Malaga surrounded by pools of this kind. Description of the process: the making of salted began with the gutted fish, if they were big tuna, began cutting them in big chunks that salt could penetrate into the flesh. Once being sliced and clean were left on the floor long enough for the blood to be drained. 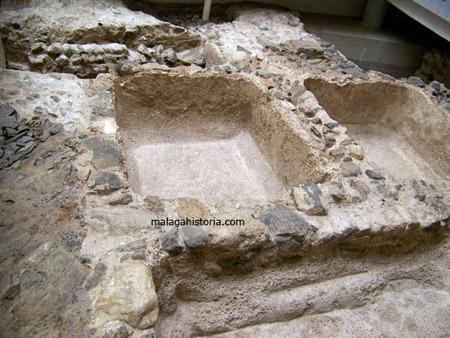 Below were introduced in pools with salt to mix in equal proportions. The fish remained there twenty days after which it was removed and packaged it in amphorae for transport.